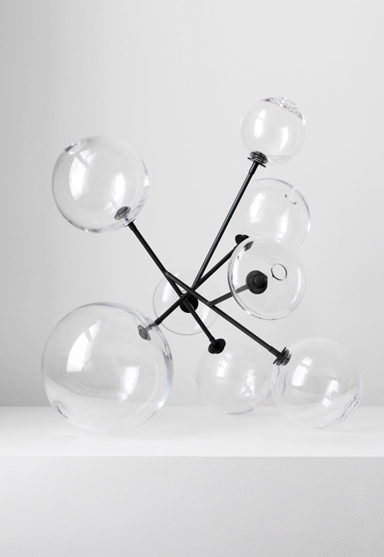 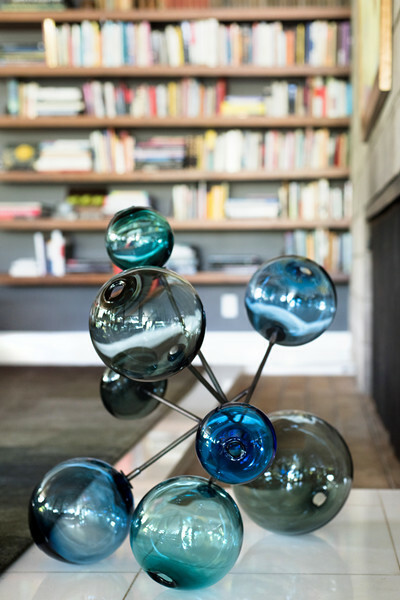 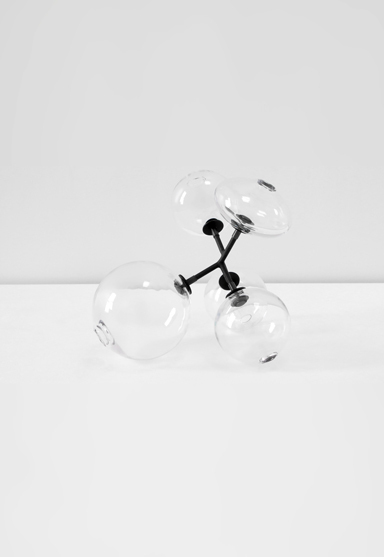 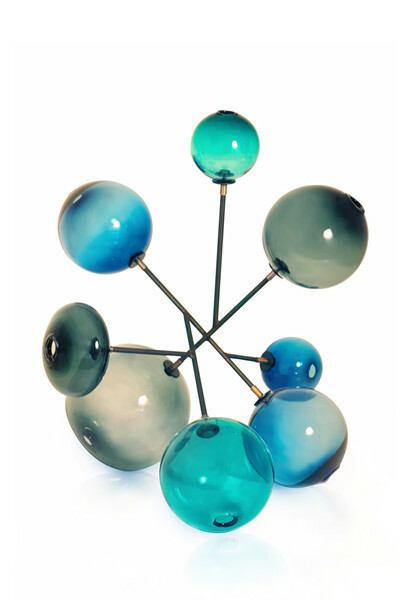 SkLO pivot objects are floor or tabletop sculptures composed of spheres and ellipsoids of handblown Czech glass mounted on geometric steel armatures. 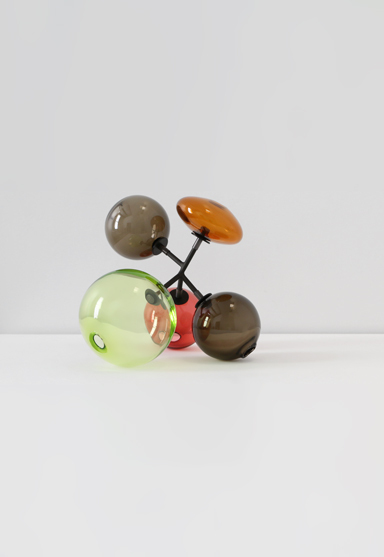 The glass elements are available in mixed palettes of transparent colors as shown, or in all clear glass. 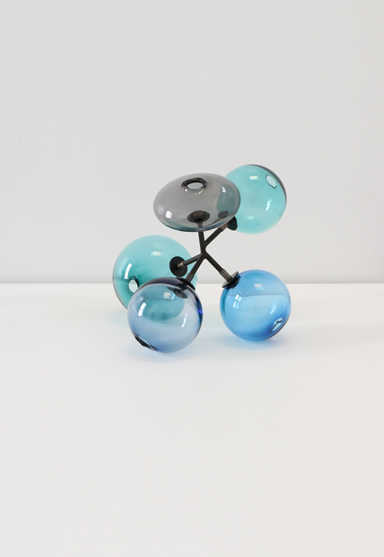 Glass available in three color palettes (including clear). 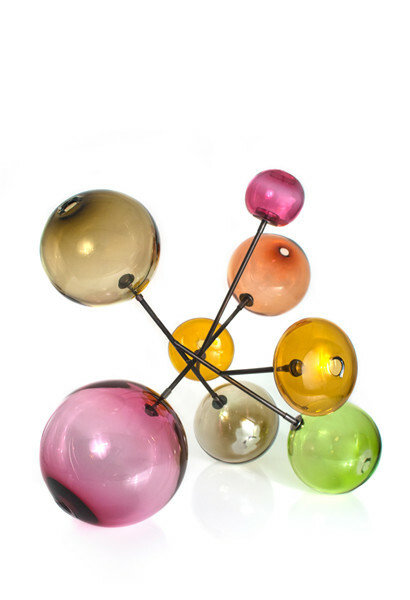 Steel armature available in dark oxidized finish only.